You run a young, lean business that neither wants nor needs the baggage of a traditional computer system. You know you need to centralise and protect your core business data, but beyond that, you and your people work on the web. 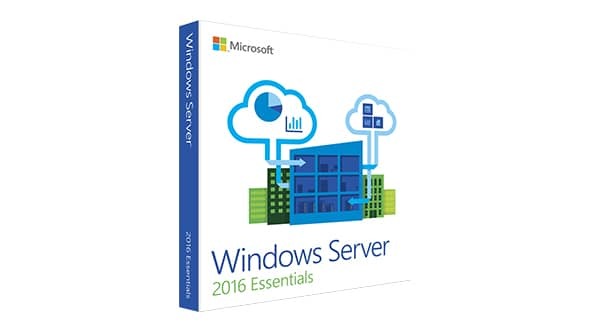 Look no further than Microsoft Windows Server 2016 Essentials. Microsoft captures the essence of Essentials: “Everything your business needs in a server, nothing it doesn’t.” If you need file and printer sharing for up to 25 users, automated data backups and remote access via the web, you’ll find Window Server 2016 Essentials. Essentials is designed with cloud-based working firmly in mind. Extend your server’s functionality by connection to Microsoft’s Office 365, a full suite of personal productivity tools that resides on the web. Low-cost and subscription-based, Office 365 includes all Office applications, Outlook Web Access email, SharePoint online document sharing. You also get LyncOnline, a communications service that includes instant messaging, VoIP and video calling. Take a step further, Window Server 2016 Essentials also supports cloud-based data backup, if you prefer not to rely on local backup media that may be subject to damage or loss, use the web. Rest assured that your business data is secure, no matter where you are. You can have the best of all worlds. Keep you server under your direct control while working wherever you want to be. Minimise your overheads and develop a flexible, web based business that communicates, collaborates and cooperates using the power of Windows Server 2016.